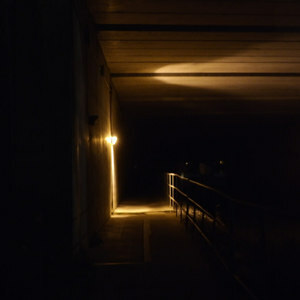 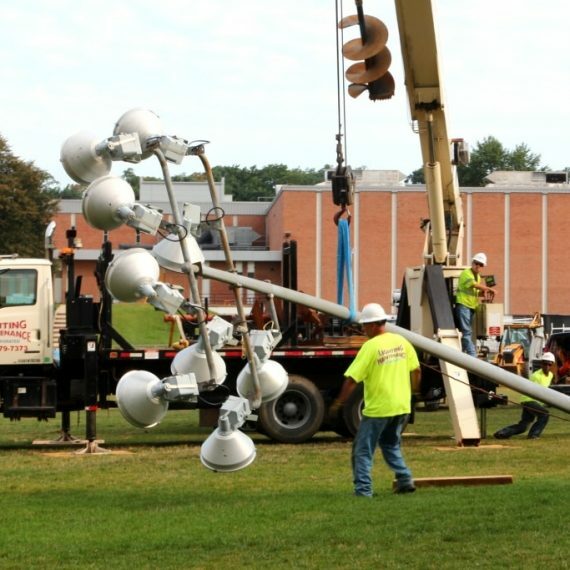 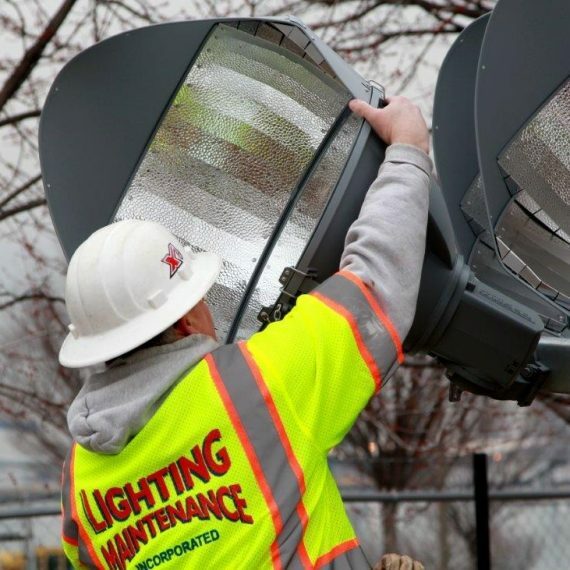 Lighting Up the Sports Field at George Washington Carver High School | Lighting Maintenance Inc. 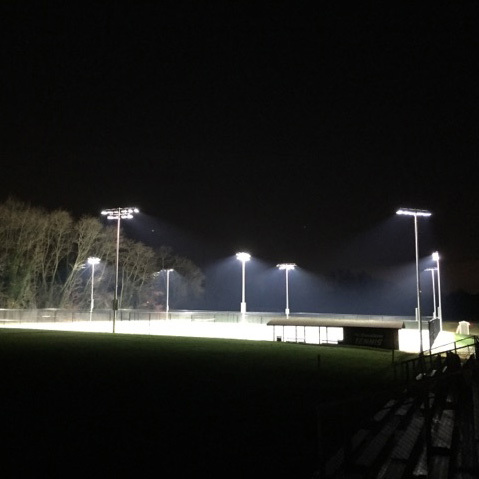 In July and August of 2015, we were contracted to furnish and install a complete Musco lighting system to illuminate the multipurpose field at the George Washington Carver High School in Towson, Maryland. 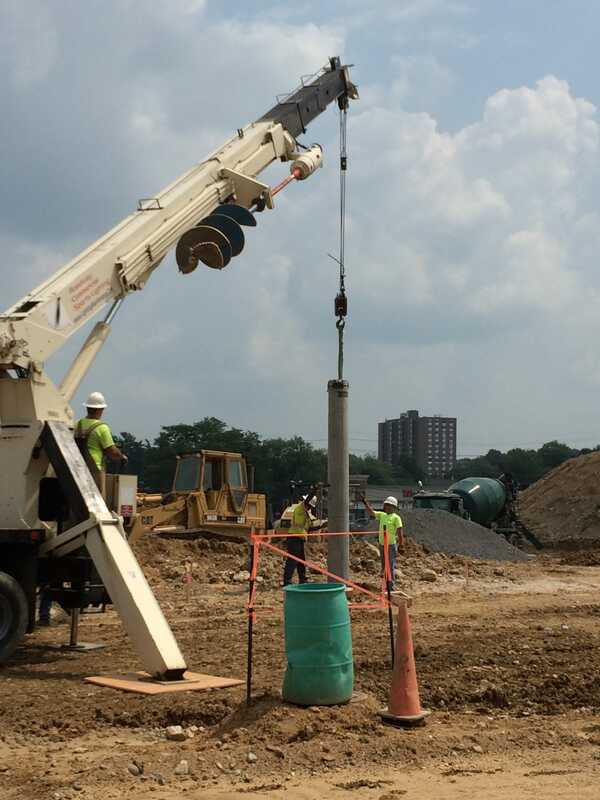 LMI worked for the site general contractor, Roy Kirby and Sons, to complete this fast track project, on schedule, and within budget. 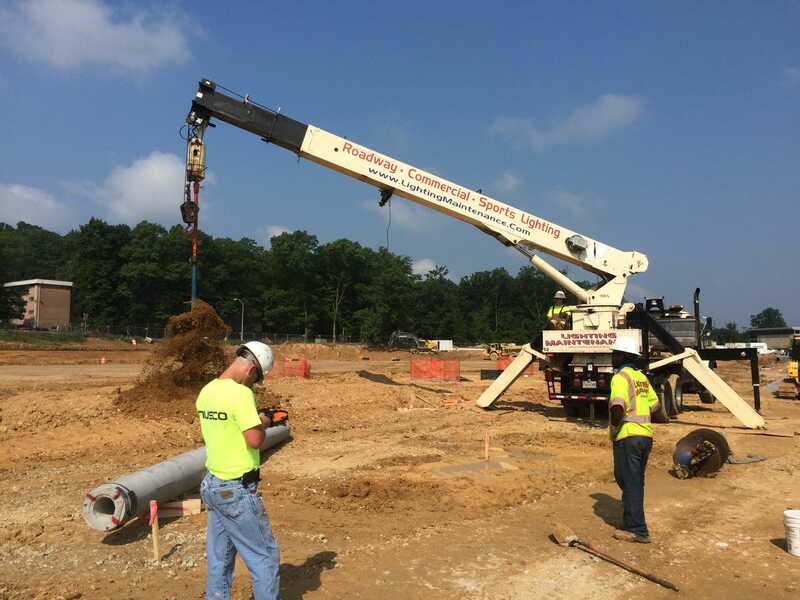 The project included providing design engineering, caisson foundations, directional bore conduit work, wiring and setting the 70’ Musco poles, and the complete electrical service, which was fed from within the new high school. 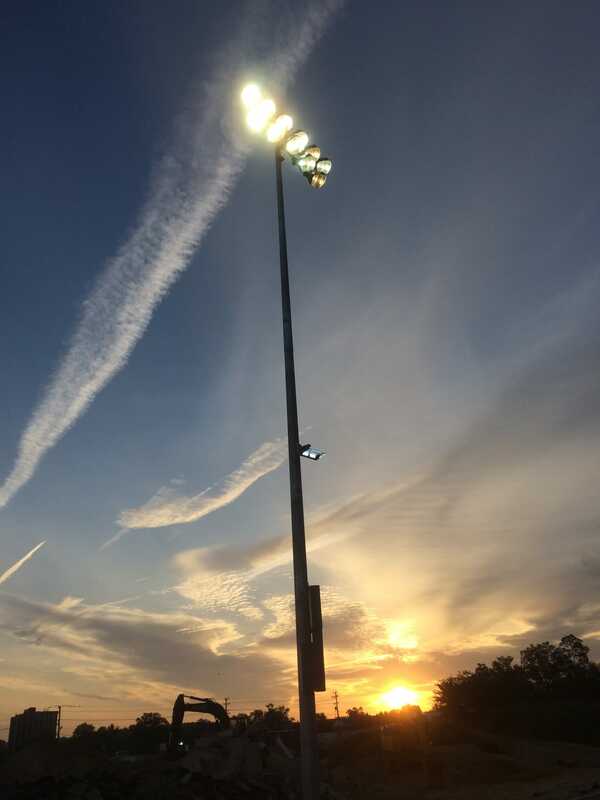 This project required continual coordination with the other site contractors as the artificial turf field, track, retaining wall, and associated utilities were all being installed at the same time.